When commercial banks underwrite commercial loans they look at a myriad of factors including but not limited to: a CEO’s management ability, past and future industry trends, a CEO’s business model, the value proposition, sales and earnings trends, EBITDAS, strength of the balance sheet, cash flow, collateral, the CEO’s FICO scores and the composition of the CEO’s net worth. Some of these variables can be measured by financial ratios and some of them are judgement calls. Thus a Bank’s process of approving loans is both an art (judgement) and science (ratios) and that is why my friends the whole process is difficult. Many are called but few are chosen meaning in my opinion there are many bank underwriters in our region but not very many exceptional ones. Loan underwriting today places too much emphasis on financial ratios in my opinion. Financial ratios don’t repay loans, people do. Those people are CEOs with good character, excellent executive skills and who have the ability to tweak their business models when changes occur in the economy with their vendors, employees, customers and competitors. Current Ratio –A metric used to measure liquidity, a company’s current assets divided by its current liabilities. 1.20 to 1 is a satisfactory number. This number goes south when you have too much of your bank debt in the form of a line of credit as opposed to a combination of Line of credit and term loan. Debt to Equity Ratio- A metric used to measure leverage, a company’s total liabilities divided by its stockholder’s equity. Most banks will not want to see this metric exceed 3.00 to 1. If you have lent some of your personal funds to your company, a bank will add this loan to your stockholders equity if you agree to subordinate. 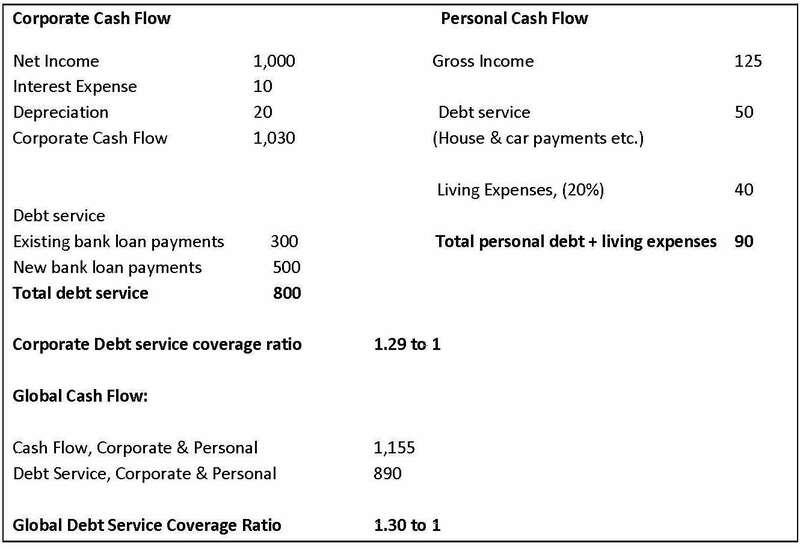 And my all-time favorite ……Global Cash Flow Coverage ratio! This ratio is flawed in my opinion because a portion of the calculation (living expenses), is not based on actual numbers but estimates. 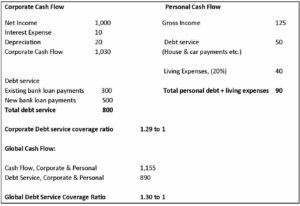 This metric is supposed to measure the ability of your combined corporate and personal cash flow to service your combined corporate and personal debt obligations. It is very important metric regarding term loans. Most banks like to see a global debt service coverage of at least 1.10 to 1. 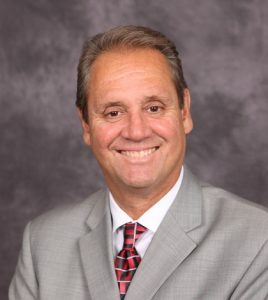 Eugene Valdez is a 40-year veteran of business/financial management and owner of The Loan Doctor, a full service business loan consulting firm based in Upland. He can be reached at 909-230-0024 or evaldez@theloandoctor.loans. Like and follow him on social media Facebook, LinkedIn. 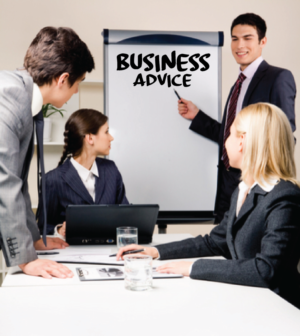 *Have a question for our business advice column or an issue you would like to see addressed in our weekly column? Let us know at iebusinessdaily@gmail.com. Contributors to the column are Inland Empire professionals who are experts in their particular discipline.